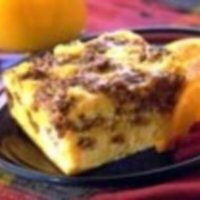 This crustless salmon quiche recipe makes for a delicious hot breakfast without packing on the carbohydrates or Weight Watchers Points. 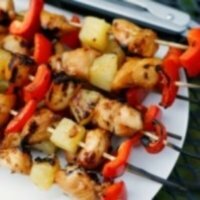 Many of the ingredients in this meal are now zero points on the FreeStyle program making this recipe only one FreeStyle SmartPoint. 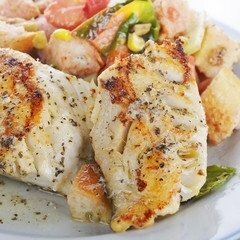 It's lower in calories, fats and carbohydrates so even non WW members will love this one. Skip the bread crumbs to reduce carbs and points even more. So warm up the oven and let's get cooking this healthy breakfast. Skip the crust but not the taste with this hot breakfast idea. It does take some time to cook, so plan ahead. 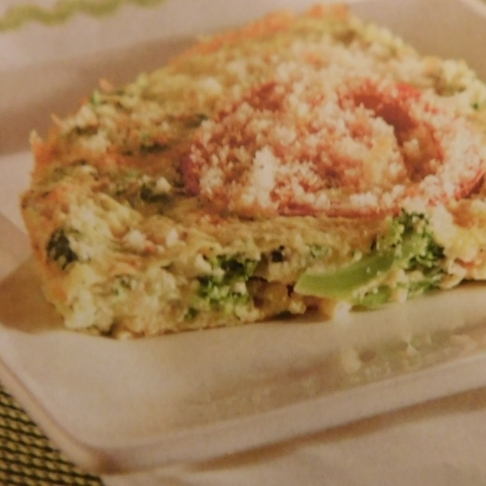 3/4 cup broccoli florets, fresh or frozen. If frozen, let thaw. Spray a 9 inch deep dish pie plate with cooking spray. In a medium bowl, combine egg substitute, green onions, yogurt, flour, basil and salt and pepper. Stir in broccoli, salmon and cheese. Spread evenly into pie pan. Cut tomato into slices. Place tomato slices on top of egg mixture. Bake uncovered for 20 to 25 minutes. Poke the center of quiche with a fork or knife to see if it is done. Utensil will come out clean when done. Cool for about 5 minutes. Cut into 4 wedges and serve. The salmon, egg substitute, yogurt and veggies were not used to calculate the FreeStyle points. All other WW points did not include the veggies. 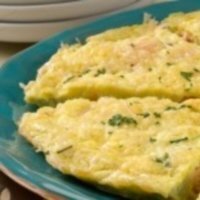 To reduce the carbs and Weight Watchers points even more for this crustless salmon quiche recipe, skip the bread crumbs on top. With healthy vegetables, lean smoked salmon and other flavors, your whole family will dig into this meal. 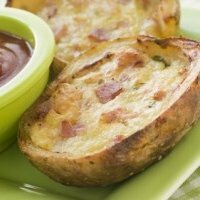 Try this recipe for a hearty appetizer or use it for the main dish. Only 4 FreeStyle SmartPoints. Check out these soup and salad recipes to make a perfectly paired lunch or dinner idea. 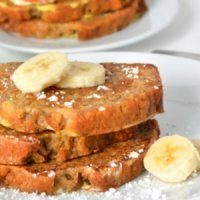 Track the calories in this breakfast recipe and all the foods you eat with this free downloadable spreadsheet.